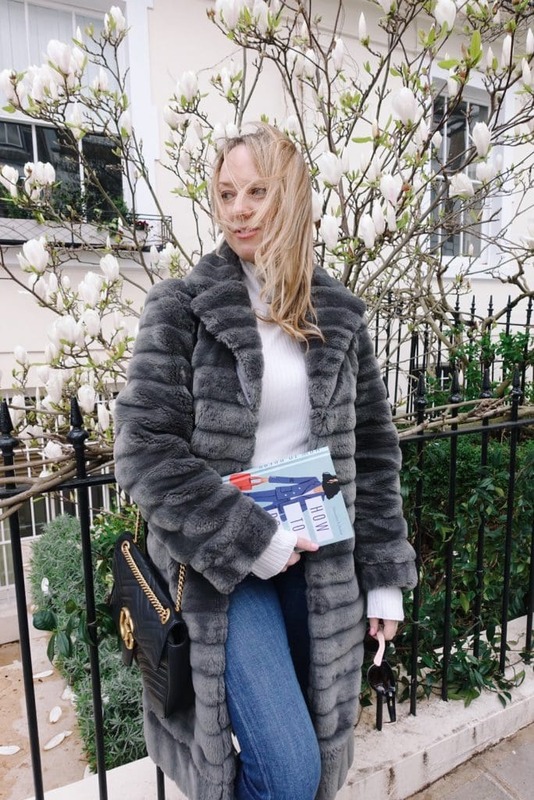 If you follow Alexandra Fullerton on Instagram, you’ll know she could give Carrie Bradshaw a run for her money in the fashion stakes with her catchy hashtag #thedailyshoe designed to highlight her favourite heels, flats and everything in between. I’ve know Alex since her days at Stylist magazine and it has been amazing to watch her go from strength to strength by recently releasing her first book ‘How to dress’ and embracing her new role as Glamour magazine’s fashion director at large. 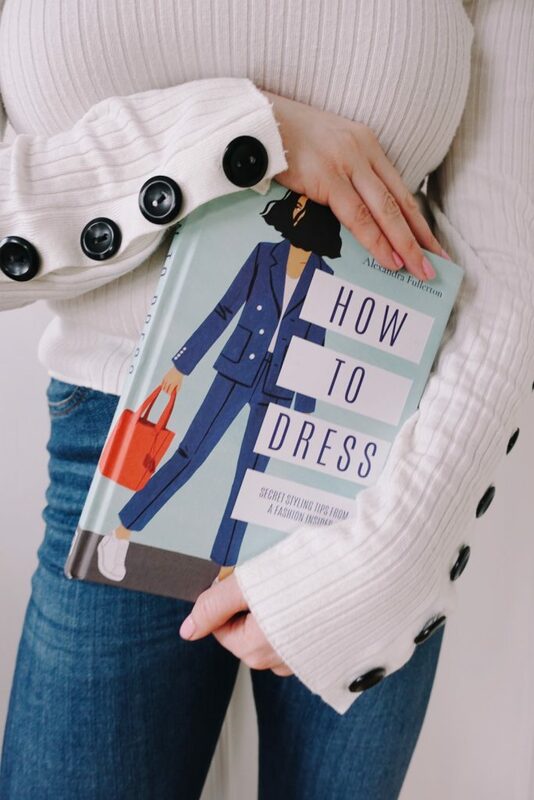 Her book, which is beautifully illustrated by Bijou Karaman, is a must-read for anyone who struggles with the classic ‘I have nothing to wear’ feeling and finds fashion overwhelming. Alex reveals the answer is to find your own individual capsule wardrobe with plenty of real life and celebrity examples. My key takeaway was a prompt from Alex think of my three words to describe your style which you stick to and never, ever cheat on them. So in real life, Alex’s three words are Denim, Sixties and Tomboy whereas mine are Feminine, Classic and Romantic. In practice, it sort of polarises your wardrobe and makes sense of those clothes you wear all that time which fit your style, and those that just never quite fit (time for a clear out I think)! I caught up with Alex to find out how she landed her perfect job and nailed her signature style so she could teach others how to look stylish with minimal effort. Make sure you head to my Instagram page for a chance to win the book for yourself. Alexandra Fullerton: Stylist was incredible - very, very hard work but so satisfying and I loved turning the preconceptions of what fashion in a free magazine would be, on it’s head. Alexandra Fullerton: I loved dressing Florence Welch. Her style is so distinct I was thrilled that she loved my rail and wore everything I suggested - and looked like her in the resulting images. 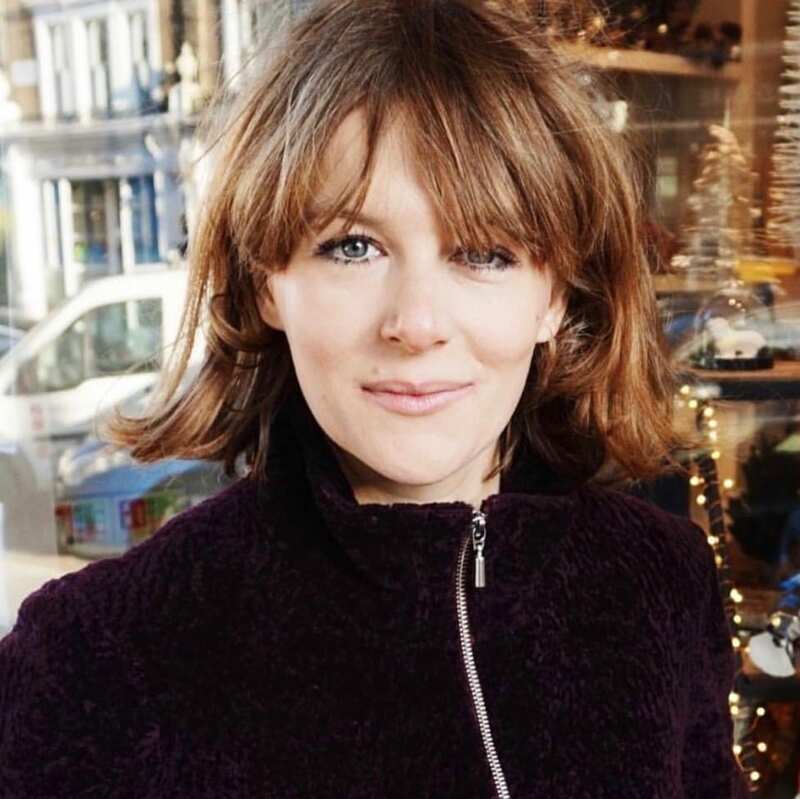 Alexandra Fullerton: A commissioning editor came to me and asked if I’d like to write something but it was a long process to get started due to other commitments. Writing it only took two months and I like to say it’s like a recipe book where the readers bring their own ingredients or style but I suggest the recipe to make an outfit. All the advice is kind and I didn’t want it to be a prescriptive ‘You should only wear this’ book - it has to be inspiring and let readers stay true to their own personal style. NakedPRGirl: Your mum looks incredibly stylish from your Instagram - my mum is a fan! What style tips do you have for style at any age? NakedPRGirl: How do you manage your blog/social media workload - are you a planner and a scheduler? Alexandra Fullerton: I absolutely couldn’t pick a favourite pair - they all mean so much! And it’s the personal meanings behind the aesthetic or styles that fascinate me. Alexandra Fullerton: Work definitely spills over into my evenings and weekends - but as I'm self-employed there are times within ’normal’ working hours where I decide to have a bath, do a workout or visit friends… so I’m fine with this mix.